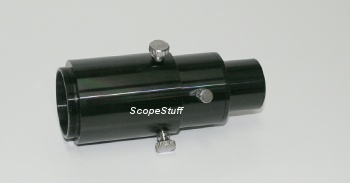 Your 1.25" eyepiece fits inside for eyepiece projection astrophotography. 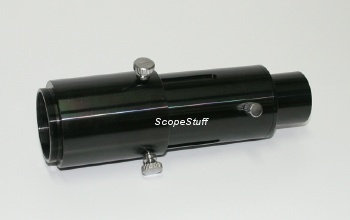 comes with a 1.25" male barrel adapter that is threaded for 1.25" filters. Weighs 1.45 lbs, black anodized aluminum construction. 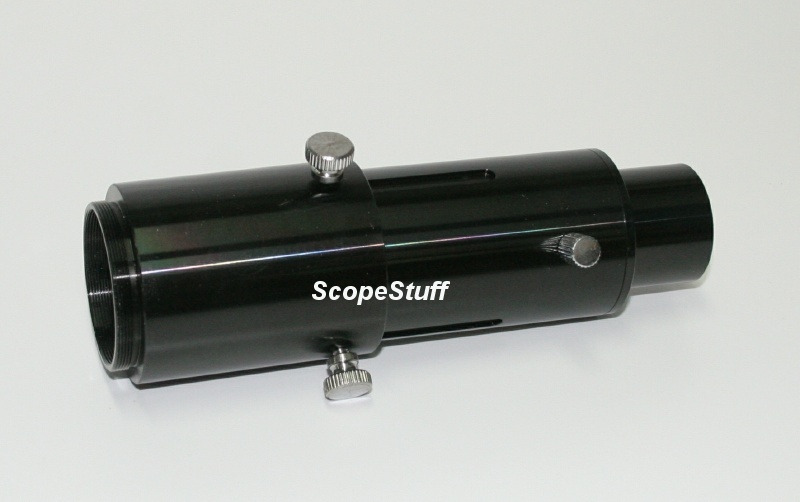 the maximum extended length is 4.9"